Earlier this year I was in Christchurch and was looking for a diner to eat breakfast at. Christchurch has a number of great breakfast diners and I wanted to find one I hadn’t been to before. So, I Googled it and there were a few options – all not too far away and all with online menus and reviews. When I’m looking for restaurants, cafes, or diners online I always do two things – look at the menu and then read reviews. If the menu is unappealing, then I skip the reviews and move on to the next possible eatery. It’s hard to find one online that doesn’t have both – and that makes sense – a menu is a restaurant’s call to action – the invite that entices diners inside but without reviews to follow up it with, it is practically worthless. The hospitality industry will never please everyone – human beings are fussiest about what they eat and drink and how they are served. It is impossible to deal with everyone’s expectations and pre-conceived notions. One diner may love the food but find the waiting staff too slow, and another diner could pick fault with how their steak was cooked but love the waiter’s attention to detail. Someone else could rate the pants off the food and the staff but rail against the décor. That’s the one reason I take a bit of time reading reviews for restaurants and discard opinions that I can see won’t gel with mine. Anyone complaining that their meal took half an hour to arrive at their table after ordering, is not going to be someone who understands the way that meals are prepared and cooked. I know this from my experience working in kitchens. If it was cooked at lightening speed to appease someone’s notion of how fast it should be prepared – well, it won’t be cooked properly. The adage is true – good things take time. 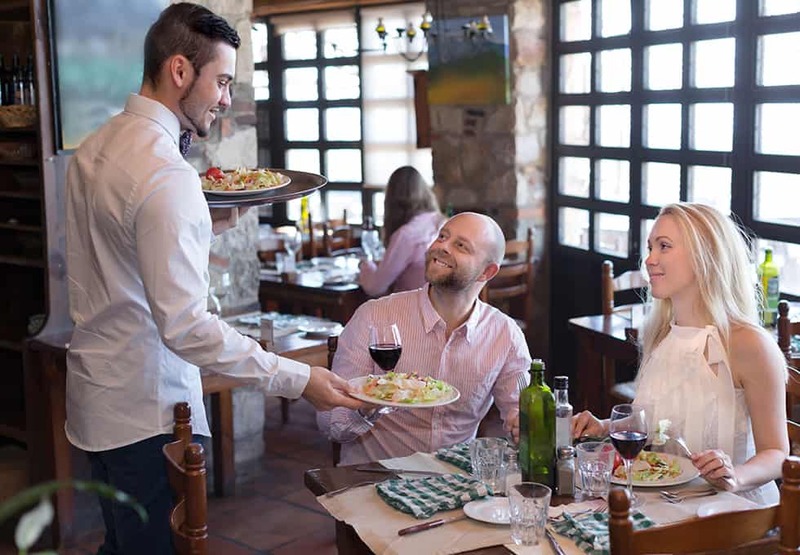 In reality, reviews are opinions – the reviewer’s opinions and judgments based on their experience, and in the case of a restaurant – people’s opinions will differ, hugely. Even Michelin star rated restaurants can garner unappetising consumer reviews, even though culinary experts with years of experience appraise the food, service, and décor. In the case of the diner I finally decided on, it was a negative review that motivated me to pick up the phone and book a table – or should I say the owner’s response to the negative review. The overall reviews were fantastic and all said more or less the same thing – the food was amazing, the service was incredible and the diner was thoughtfully and stylishly outfitted. As I expected, there were a small number of reviews that said the opposite. Seeing how the other scores of reviews were glowingly positive, I was heartened to see that the owner had taken the time to respond to the concerns raised by Daniel – and expressed them in the perfect tone. Instead of focusing on the particulars of the review and being turned away, I accepted that things can sometimes go wrong and I respected the owner’s honesty and contrition – genuinely wanting to know further details to ensure it would not occur again. It reminded me of the power of a well-crafted and thought out response to an unfavourable review. This one certainly made me want to eat there – in combination with the mainly positive reviews and a very appealing menu. I ended up leaving my own very online feedback after eating at the diner. The food was superb, the staff was attentive, courteous and engaging, and the people I went with shared the very same experience. I will definitely go back next time I’m in the Garden City. Top things you MUST understand about how your customers are searching online - ignore these at your peril! Do's and don'ts of creating an effective online presence - our top 10 tips to ensure you'll be pick of the bunch. The 6 most sought-after qualities that your customers are looking for that your competitors don't even know about. How to approach the best most vocal customers that will leave you rave reviews and make you look like a rock star. The 6 most common mistakes people make with marketing their reputations that renders them practically invisible on Google. 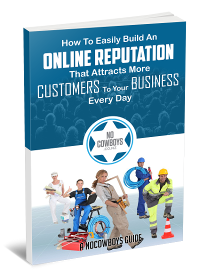 The exact Steps you need to take to build and market your reputation to bring in a flood of new customers daily. © Copyright 2017 No Cowboys.